Recently, Long Island-based Foggiest Idea launched an all-new feature called The Foggiest Five, which asks influential Long Islanders five questions regarding the future of the region. The first participant was Andrew Freleng, who serves as Suffolk County's Chief Planner. Freleng's experience and dedication to the field made for the perfect first featured guest. The Foggiest Idea was started in 2010 as a dedicated effort to make land use and development issues approachable and understandable to the general public. Since its creation, the site has been used by journalists, policymakers and residents in order to research and understand the issues that shape their community. The Foggiest Five serves to present different viewpoints and perspectives on development issues, while at the same time adhering to strict urban planning principles often forgotten in the name of simplifying the issues for quick consumption. The feedback to the feature has been positive, with the first round of answers by Suffolk County’s Chief Planner Andrew Freleng generating much discussion on the Nassau and Suffolk’s future. Freleng’s segment can be read here. 1. What is your favorite part of living on Long Island? 2. What is our greatest regional challenge? 3. What is an easy first step to solving this challenge? 4. What has been the biggest change that you've seen on Long Island during the course of your career? 5. What do you think Long Island will be like in 20 years? The answers reflected greater undertones that showed an underlying frustration with the way land use planning is conducted on Long Island, and a sense of optimism that we can always improve. What was most compelling about Freleng’s answers was that he touched upon many aspects of regional development now often ignored. Those engaged with the issues forget that development issues are complex, and cannot solely be captured by buzzwords or agendas. In recent years, the conversation regarding the future of America's definitive suburb has been dominated by involved stakeholders, "advocates" and politicians. All of these groups have something to gain when it comes to the successful promotion of hard, aggressive solutions that push for infrastructure improvements and increasing density yield. To have developers dictating the terms and conditions of the regional debate on housing is akin to having Oil Barons from Texas singularly dictating energy policy – it just doesn't make sense. On Long Island, it truly is a case of the foxes watching the hen house when it comes to urban development. Long Island, like so many other regions nationwide, is a victim of its own success. The rapid expansion of both Nassau and Suffolk overwhelmed the municipalities preference for home-rule community building, allowing development to run rampant on any vacant lot from Elmont to Riverhead with very limited regulation until it was proven necessary by groundwater studies. These federally funded studies, conducted in the late 1970s through mid-1980s, provided the scientific justification for the county to pursue its nationally trailblazing open space preservation efforts and employ stricter land use controls. In recent years, the solution to high cost of living, lack of affordable housing and limited economic opportunity has been clustered development in various downtown centers across Long Island, a concept backed by valid planning principles. However, the excellence is in execution, with developers taking the once-valid planning terms "walkable", "sustainable" and "mixed-use", and using them to justify large increases of density without the appropriate infrastructure upgrades to support it – all in the name of Smart Growth that lately has been anything but. The lessons learned from Nassau and Suffolk Counties can be applied broadly across the United States. First and foremost, planning is a mixture of public education, participation, and implementation. The minute any one of these aspects are forgotten by the municipality or developer looking to increase their yield, the legitimacy of their endeavor is compromised. Nationwide, the smart growth movement has been used to justify anything from storefront apartments to roundabouts. What is needed is a focus that doesn't dumb down the concepts, but rather, presents them in an approachable manner. Overall, Freleng’s responses capture two distinct needs that get lost in the zeal to build “smart growth mixed-use walkable communities” to “plug the brain drain”: the need for further utilization of Transfer of Development Rights (TDR) in conjunction with increased efforts to preserve open space. 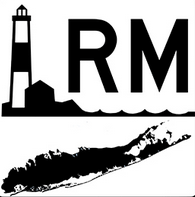 These important land use tools, paired with the proper use of home-rule authority that maintains the distinct “sense of place” that Freleng mentions in his favorite part of living on the Island, can help Long Island not only be fiscally and environmentally sustainable, but help the region grow in future decades. It’s very telling for a planner to state that the greatest challenge we face as a region is admitting that we have limits. He did not say that we need more development, nor did he claim that more growth is needed to capture millennials, as countless others have said when asked the same question. Those answers would serve as the easy way out. Unfortunately, many opt for that path. Development and growth is needed, but in the right places, and offset by equal (if not more) preservation. Freleng chose to point out the fact that despite what stakeholders and others claim, our land use decisions are determined by environmental factors first and economic interests second. For Long Island to remain competitive in the coming decades, we must start planning for the needs of our environment, not doing so as an afterthought. To be blunt, we as an Island cannot build our way to a solution to many of our regional challenges. Often, I write that the key to planning is maintaining the balance between Long Island’s environment, economy and social equity. In recent years, the tone and pace of the conversation regarding our approach to critical regional issues has been determined by involved stakeholders (housing groups, environmentalists and builders), and invested policymakers more concerned about the election cycle and maintaining their fiefdoms. Despite the stacked odds, Long Island must always have prevailing sense of optimism. Freleng's final response noted that the Long Island of the future will have room for all generations, which is an encouraging sign we may finally be able to diversify our housing stock. Suffolk County Government seems to be optimistic that the Island's carrying capacity can be increased thanks to advanced wastewater treatment techniques and traffic congestion management, two key factors that limit the Island's growth. Advances in both would help ease the burdens of growth, but sound planning now is necessary for both to be successful. Now, more than ever, we must properly lay the foundation for a stronger, sustainable Long Island. If we just throw density at the issue, we’ll have a whole host of other problems that are far more extensive and expensive to deal with.